Want to tame flyaway frizz, keep curls in check, or spike short hair with a non-toxic version of your favorite store-bought stuff? 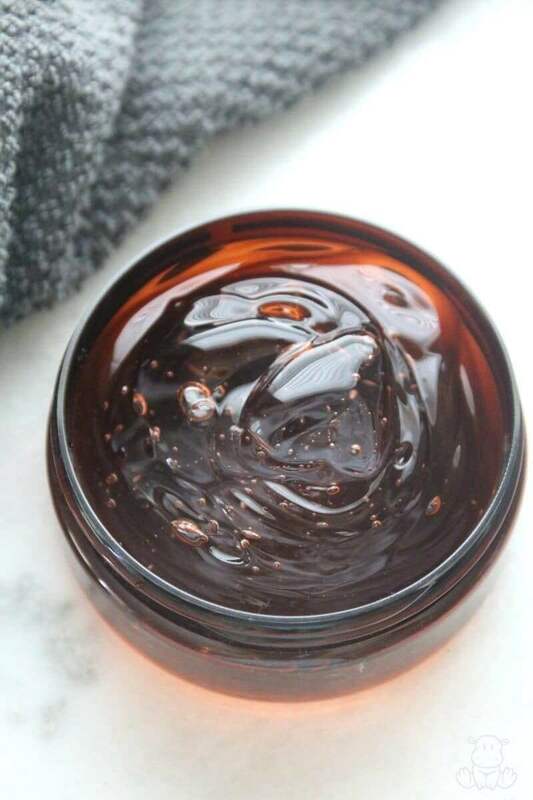 Many of the styling gels on store shelves contain hormone disrupting fragrances and formaldehyde releasers, but you can make natural hair gel with just 1-3 simple ingredients. And just like with this three ingredient body wash, you probably have what you need to make a batch right now. Below are three recipes that I’ve used over the years with my boys. They’re too young to care about styling their hair on most days, so it’s not until we have a special occasion coming up that I remember to make hair gel. I don’t always have the same ingredients on hand, so I’ve experimented with a few variations and these are the best I’ve tried. In terms of hold, I’d say the flaxseed recipe is the strongest, the gelatin is medium, and the aloe vera is the lightest, but all have worked really well for us. A few friends with curly hair have reported that they help a lot with frizz, too. Peppermint and rosemary essential oils stimulate hair growth and add shine. They’re very strong, though, so I recommend using about half the maximum number of drops recommended in the recipes below. Gelatin contains keratin proteins which bind with hair to strengthen it. It adheres especially well to damaged areas and helps to smooth the hair cuticle, boost shine and reduce breakage. It is possible to get too much of a good thing, though. As I shared in this post on gelatin hair masks, healthy hair is both strong and flexible, and hair that has too much protein can harden, lose flexibility, and become vulnerable to breakage. The amount of gelatin in this recipe is so small that this likely won’t be an issue even if used very frequently, However, if you do notice that your hair loses flexibility, it’s a good idea to deep condition and rotate this recipe with either the flaxseed or aloe options. 1. Dissolve the gelatin into warm water, using 1/4 teaspoon for less hold and 1/2 teaspoon for more hold. 2. Add in essential oils if desired. Store in an airtight container in the fridge for up to 10 days. Aloe vera is a wonderful hair moisturizer and scalp conditioner that also happens to work beautifully as styling gel. Some brands contain additives I prefer to avoid, but this one is pretty good. If using essential oils, add them to the aloe vera gel and stir to combine. Place aloe in an airtight container. Because store-bought aloe is stabilized to extend shelf life, this gel should last at room temperature for at least three months. 1. Place water and flax seeds into a pot and bring to a boil. 2. Reduce heat and allow to simmer for about 10 minutes. 3. While the mixture is simmering, line a mesh sieve with cheesecloth. 5. Store in an airtight container in the fridge for up to 10 days. Do you want to write “Made with love” on gorgeous, handcrafted gifts for family and friends, without spending a bunch of time on them because your life is already full? Then I’d love to give you a free copy of DIY Body Care Gifts Made Simple – my step-by-step guide to making gorgeous handcrafted gifts without stressing yourself out – as a gift for signing up for my newsletter. I’ll show you how to make vintage labels, luxurious lotion bars, lip balms, sugar scrubs, body sprays and more like a pro. Don’t miss out! 1 Tbsp ACV (apple cider vinegar) – I suggest always using the raw kind “with the mother.” We buy Bragg’s in bulk 1 gallon jugs. 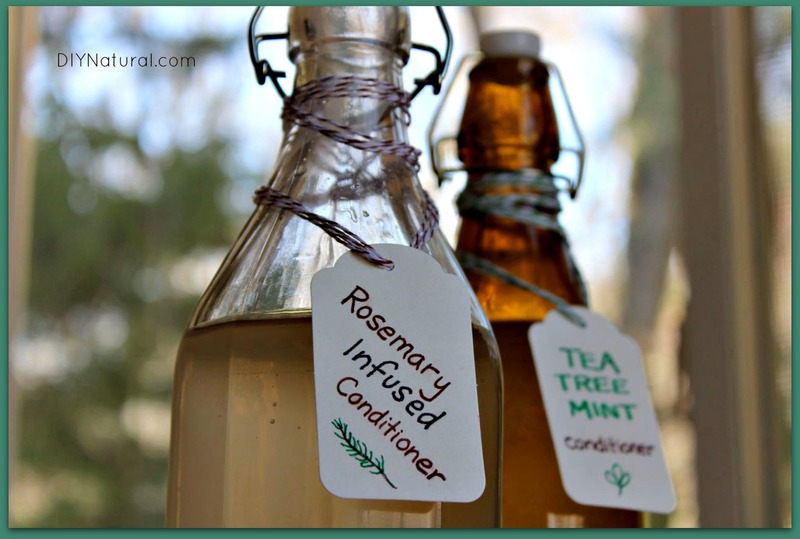 I suggest combining ingredients in a clean repurposed squirt bottle for your conditioner. Double up on ingredients until you fill your bottle – the recipe above makes 8 ounces. A Simple Homemade Conditioner For Soft Hair was written by Matt Jabs.